Home > A Day Out With Thomas get ready for fun!! It's time again to see Thomas. A Day Out With Thomas get ready for fun!! It's time again to see Thomas. 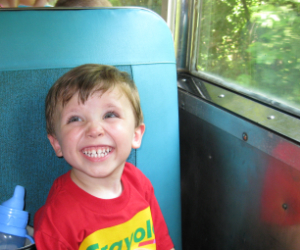 Day Out With Thomas 2010 is a very special day because Thomas the Train is celebrating his 67th birthday. This special event is called the Mystery on the Rails Tour 2012. 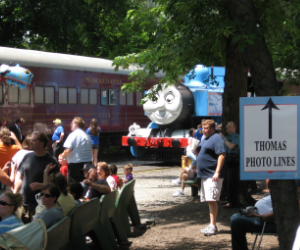 A Day Out With Thomas is offered in more than 45 cities in the United States and Canada. 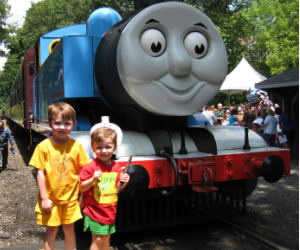 Charles and Adam met Thomas and Sir Topham Hatt in 2009 during the Day Out With Thomas, The Hero of the Rails Tour at the Delaware River Railroad Excurisons. During this visit the boys were given a Day Out with Thomas Map and they visited the Gift Shop, Imagination Station, Storytelling & Video-Viewing and Sir Topham Hatt. After visiting each location they stamp your map and you redeem your prize at the gift shop. There is lots of fun stuff to do at Day Out With Thomas. Children are offered petting zoos and pony rides, magic shows and face painting. There are also temporary tattoos of the Island of Sodor friends. 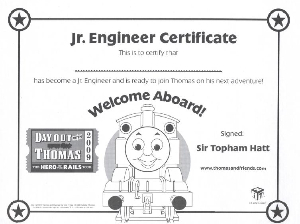 After riding on one of Thomas the Train passenger cars the children receive a signed document by Sir Topham Hatt called the Official Jr. Engineer Certificate. Charles and Adam loved meeting Thomas and especially riding on one of his passenger cars in Phillipsburg New Jersey on the Delaware River RR Excursions. 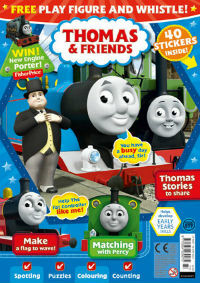 Day Out with Thomas is an exciting way for children and grown-ups to enter the world of Thomas & Friends. The event provides an opportunity for kids to ride on board a train led by Thomas & have their pictures taken with Sir Topham Hatt, the controller of Thomas' railway. Further information about a specfic event is available from the host railroad but we are providing the schedule here for mom and dad too! 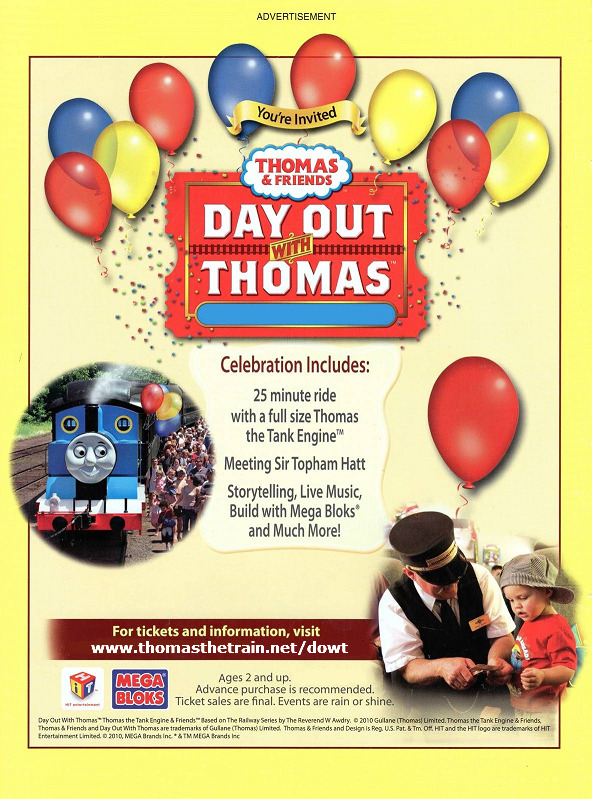 The Day Out with Thomas 2015 Schedule is finally available, start planning for this exciting event!